With the Brunner-designed M01, Minardi had a decent package to chase the big guys in 1999, only weighed down by the Ford engine, which was well behind the Ford factory unit used by the Stewart Team that same year. 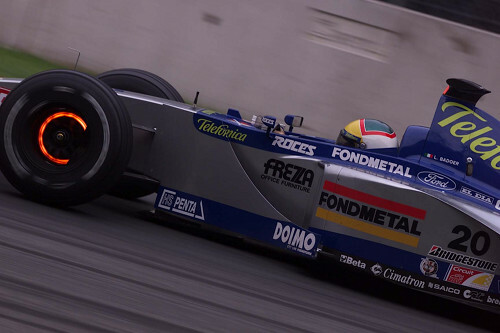 Gabriele Rumi's Fondmetal sponsoring was well visible on the grey and blue car, perhaps one of the team's best looking liveries, and Spanish telecoms group Telefonica had joined the team through Spanish driver Marc Gene. 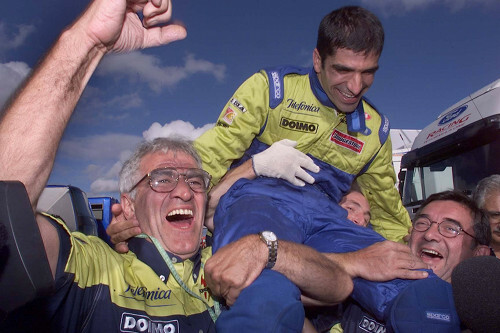 Gene was joined by an old friend of the team, Luca Badoer, who had already raced for Minardi in 1995. Badoer was briefly replaced by Frenchman Stephane Sarrazin at the second race at Interlagos due to an injury. The qualifying performance of the team was lacking for much of the season, though Gene had a spectacular session at the German Grand Prix, putting the car on a 15th spot on the grid, ahead of both Arrows, both Saubers and Johnny Herbert's Stewart. The team had to wait until the European Grand Prix, however, to get decent results on the race track. The chaotic race at the Nurburgring was the most memorable event of the year, with the grid being shaken up by rainfall twice. With the field being levelled out by the constant need to change tyres, Minardi was able to deploy clever tactics and Badoer all of a sudden found himself in fourth position, with only a few laps to go. In one of the most heartbreaking moments in the history of the team, Badoer was let down by a faulty gearbox and retired. Images of the driver being slumped down next to his car, crying went across the globe. The retirement promoted Gene to fifth spot, with Mika Hakkinen and Eddie Irvine in full battle for the World Championship behind him. While Hakkinen managed to overtake Gene, the Spaniard kept Irvine behind him until the final corner, scoring a crucial point for the team and securing the 10th spot in the constructors standings.